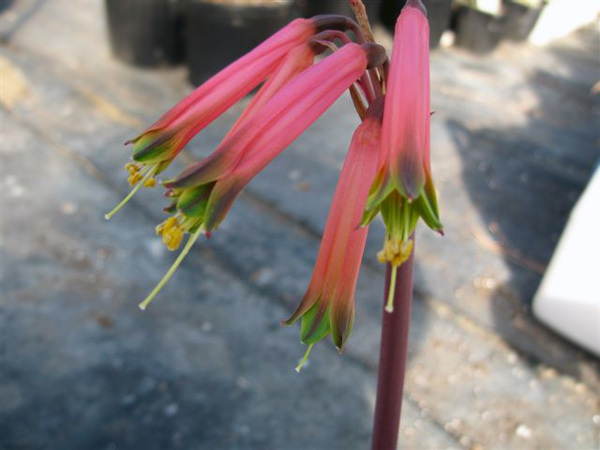 Eustephia is a small genus with 6 species in the family Amaryllidaceae from southern Peru to Bolivia, where they grow in high altitude subtropical forests. 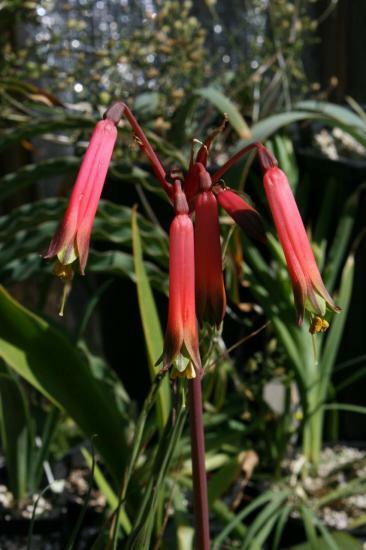 DNA sequencing has found that it is a member of the Eustephieae tribe, sister to Chlidanthus, Hieronymiella, and Pyrolirion. The bulbs are summer-growing and dormant in winter. 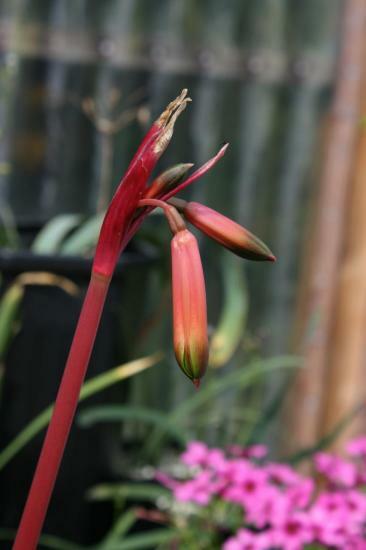 They can be grown like a hybrid Hippeastrum, keeping them dryish in winter. 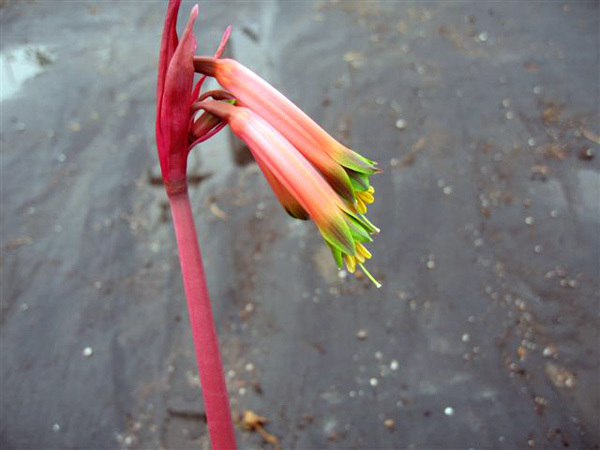 The flowers are tubular, pink to red with green tips to the tepals, somewhat resembling the flower of a Phaedranassa. Leaves are linear. 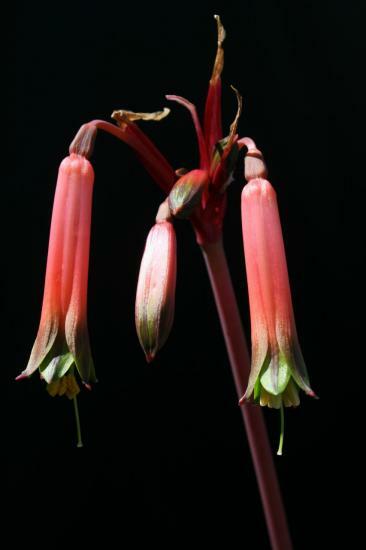 Eustephia darwinii is from Peru near Cuzsco. It is a summer-growing plant, and requires a dry-ish winter to bloom. 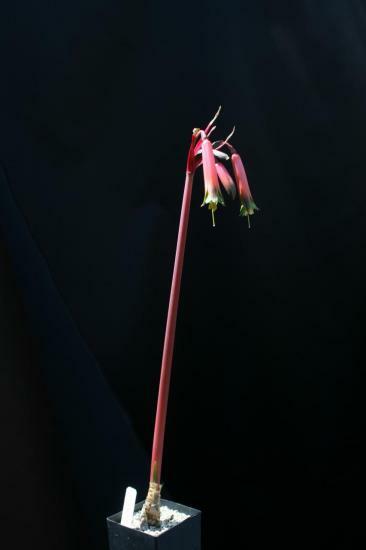 Photos 1-2 by Diana Chapman show plants that produce their flower stems in the fall. In the Bay Area, this plant blooms in July. Photos 3-6 were taken by Nhu Nguyen of plants grown by Jacob Uluwehi Knecht.